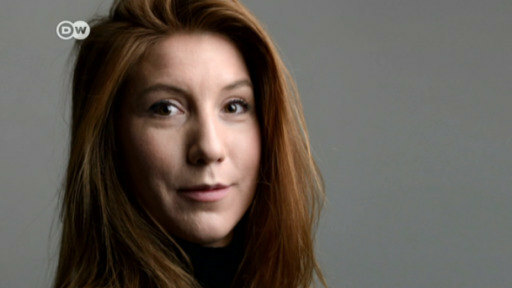 Police have found some more body parts of Swedish journalist Kim Wall, who went missing after taking a trip in a Danish inventor's submarine. Police found Wall's torso in late August, washed ashore near Copenhagen. Danish police said on Saturday they had found the head and the legs of Swedish journalist Kim Wall, whose shocking death apparently aboard a Danish inventor's submarine continues be shrouded in mystery. Navy divers found Wall's head, legs and clothes stuffed in several weighted bags in the Bay of Koge south of the Danish capital Copenhagen on Friday, lead investigator Jens Moeller Jensen of Copenhagen (top photo) said. The findings were made about a kilometer from where her torso was found on August 21 after it washed ashore in Copenhagen. Police were able to identify the head using dental records. Moeller said police were still looking for Wall's arms, which were also missing along with the head and legs from Wall's dismembered body. Wall had last been seen alive on August 10 on board a self-built submarine owned by inventor Peter Madsen as it left Copenhagen harbor. "No cause of death has been established yet," Moeller said, but the investigation has been focusing on whether decapitation had brought about Wall's death. Police have arrested Madsen on the suspicion of Wall's murder and believe that he dismembered the body before dumping it into the sea. Madsen has said that Wall died after a heavy hatch cover on his submarine fell and hit her. He admitted in mid-September that he had dumped her body into sea. Police this week said, however, that they had found images of a women being strangled and decapitated on Madsen's laboratory computer. Madsen has denied that the computer is his and said that everyone in the laboratory had access to it.